Found some very nice homes to rent for family vacation, but I am in disbelief about this borderline criminal 12.75% tax on rentals. That is extreme to say the least. 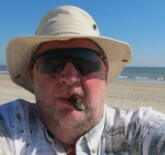 I always thought renting a vacation home in OBX was a budget-friendly option, but now thinking about going elsewhere. When did this tax start and has it always been this high? Coming from NJ, I thought we fleeced beach goers the worst with our beach badge garbage, but you may have NJ beat here. You OBX realtors/owners happy about this? Thinking Lake George NY might get my vacation $$ this year. This was posted on tripadvisor.com over two years ago. If you decide not to come, I am sure there is someone to replace you. Hyde County occupancy tax here on Ocracoke is 5% + 6.75% sales tax. Come on down! in all fairness state sales tax is 6% Dare cty. occupancy tax is 6.75%. When booking through VRBO or any of their afillates, you are charged a VRBO service Fee,Owners Fee, Administration Fee, Cleaning Fee, and Taxes. Taxes are a set rate, but the other Fees vary depending on the rental. The follow numbers are a copy of a typical booking through VRBO on a cottage for 28 nights. My guess is this is a drive by posting and we'll never hear from them again. Awesome, taxes are due today. @bobbyg & @W&M OBX - The occupancy tax rate has not changed over the past two years so it's still relevant to discuss. Thanks for nothing. Local governments imposing higher than normal taxes for lodging and meals can and will reduce the number visitors and $$$$ spent in those communities. Chesapeake VA comes to mind as a city that's well known for their higher than normal meals tax. As a result, I avoid eating there when passing through. Anybody else? I started renting my condo in 2013. Occupancy taxes were 11.75% then. The increase happened the next year I believe. It’s also then that the listing services started doing everything in their power to prevent owners from getting guest contact info and forcing us into commission plans, which causes guests to have to pay a booking fee. Pro tip: wherever you end up booking, look and see if the owner has a private webpage by looking up the house name plus name of the neighborhood/town. If you book direct there’s often no booking fee. Still have occupancy taxes I’m afraid, but it does save $. This site has a free listing of member’s properties for rent, for instance. There is an extra price to pay for vacation no matter where you travel. If it isn't fully disclosed (it should be), it is hidden in there somewhere. Mostly those extra charges do not benefit anyone other than the revenue folks or other vendors, certainly not the home or condo owners. I didn't want to pay $$$ for each St. Croix plane ticket, however, that was the price. The cost of food was ridiculous but we knew that already. It was all about vacation and memories. We ate in and we ate out at our leisure. I have lived in Chesapeake/Virginia Beach and we ate out anyway. We live in Nags Head with their high meal tax and we eat out anyway People will choose to vacation elsewhere for sure even though I am not certain that they aren't dealing with the same financial issues wherever they go nationally or internationally. One thing for sure...the visitors flocking to the Outer Banks will continue to increase and that house you chose not to rent will be rented by another family that is happy you turned it down. And tourism is a business and is treated as such. Those taxes are for keeping this the pristine destination that it is and you all expect it to be. @larkobx Great idea to look for a private site to avoid the listing site fees. Thanks for the PRO tip. Absolutely true what larkobx says. We rented from someone that way for a very, very long time before our just was built house was ready. Also, bobbyg - I hear you loud and clear! Most hotel fees include the room rent, occupancy tax and sales tax. The taxes average 10-12% or higher. So, the OBX taxes are in line. If you rent privately the owner is still required to collect and remit the tax even in NJ.